Hear the testimony of one the Urat translators and how God’s Word changed his life. This short film shares Hilkka Arminen’s story as translation advisor for the Urat language group in the Sepik province of Papua New Guinea. Watch this film to learn about this group and join the celebration that they now have the New Testament in their own language! 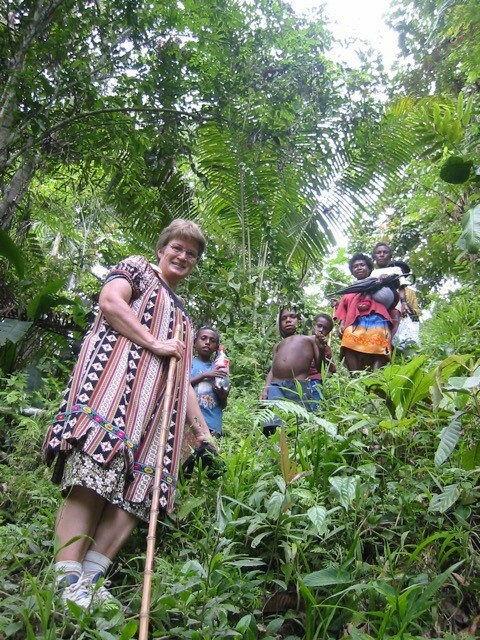 In 1999 Seija left Finland and traveled to Papua New Guinea as a teacher of math and physics. At that time she had no idea she would end up working with a group of people in a tropical rainforest of the Sepik. During the two years she was teaching at the high school, she heard about groups of people throughout the country still waiting for the New Testament to be translated into their language. Although she felt God pulling her heart in that direction, she pushed it aside, thinking she was too old to get involved in Bible translation. One Sunday morning she heard the preacher admonish the congregation, “Don’t give yourself labels that the Lord hasn’t given you.” She knew God was speaking to her. In obedience, she went to England for training and then returned to Papua New Guinea. Pirkko Luoma, also from Finland, had been working in the Sepik for a number of years and in November 2004 she joined Seija on a preallocation visit to see if the Kalpm dialect of the Urim language group would be a good fit for her. The path to the village followed a narrow ridge, went straight down, crossed river, and went straight up again. The weather was rainy and the path slippery, but these two Finnish ladies weren’t about to be deterred by a little water and mud. Seija did feel the trip and the village allocation were from the Lord. She committed to settle there, learn the language, and embark on translation. The next time she took that path it was to come live among the people. It was her 52nd birthday. They landed on a gravel airstrip on New Britain Island’s southeastern coast, caught a ride in a truck, and then traveled in an off-duty ambulance. Finally, they hiked the last several miles through the Central Mountain Range to Aona Village, sometimes trudging through mud up to their knees, but surrounded by breath-taking scenery. 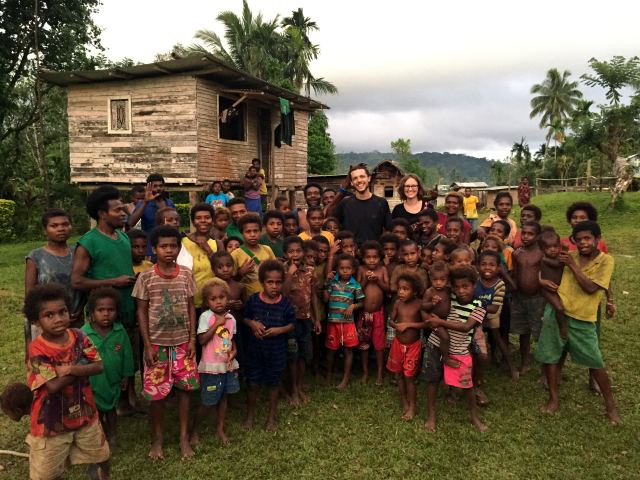 Aaron and Rebekah Wade had come to the Mamusi language group to see if this might be the place where God was calling and them and their five young children to live and begin Bible translation. Upon arriving in the village, they were greeted by crowds of people, especially very young ones with eager faces and friendly smiles. Since the Wades were the first outsiders to visit the area in several years, many of the youngest children had never before seen people with such light colored skin. Even though this group is a bit isolated, living in the center of their island at 3,700 feet above sea level, they nevertheless proved to be kind, generous and hospitable. On two occasions Aaron and Rebekah spoke at community meetings, presenting the possibility of starting Bible translation in their language. The response at both meetings was extremely positive. 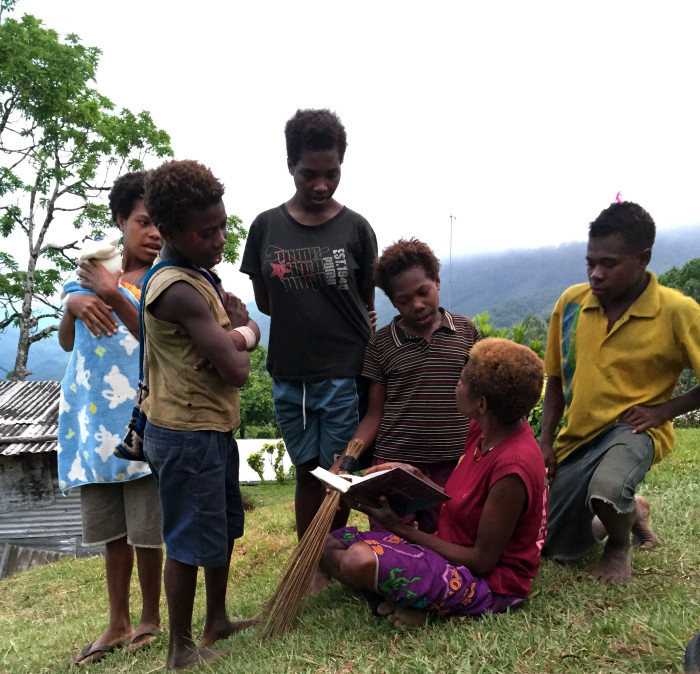 Despite the fact that they are one of the last languages in Papua New Guinea with no official alphabet, many of the Mamusi are hungry for the Word of God to be written in their language. They solemnly listened as the Wades presented an overview of what translation would involve. When Aaron and Rebekah offered to serve as a resource to train and equip them, with the community taking primary ownership of the translation work, the local leaders gladly accepted the challenge. Enthusiasm for the project mounted when a young lady began to read aloud from a precious book she held fondly in her hands. 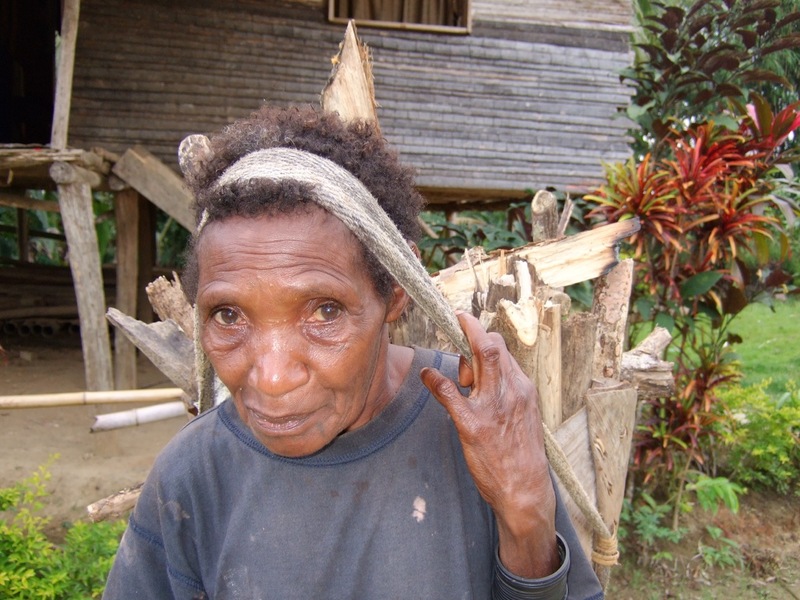 She was a Mamusi speaker, but had been educated in the neighboring language of Lote. As villagers watched, she read with passion from the Lote New Testament. She showed the book to her friends and talked about how sweet it would be when, one day, they too could read God’s message to them in their own heart language. When Hilkka agreed to join the Urat translation team, she did so in response to God’s call, not knowing what lay ahead. Initially, three Urat men were translating the New Testament into their mother tongue language. They faced the challenges of working on their own in the village setting, having the responsibility of providing for their families, and having limited English skills for understanding advanced study helps. During those seven years, one of the translators realized at this rate he would not live enough years to see the New Testament completed. He contacted SIL several times, asking them to send someone to help. That person was Hilkka Arminen. In her late 30’s Hilkka had taken training at SIL, wanting to do something more with her life than continuing to work for European businesses whose primary goal was to make money. After seeking a language allocation for nearly four years, she learned about the Urat’s need for a co-translator, and accepted the challenge. Through it all, Hilkka has known God’s presence and encouragement. She says, “If I had gone in my own strength I would have left long ago. God has kept me there.” One way the Lord encouraged her was by giving her glimpses of how He is working in people’s lives through the translated Scriptures. One significant time was when a co-translator was attacked but asked his family not to follow the traditional pay-back revenge system. It was with deep joy that the team signed off on the completed Urat New Testament in December 2015. The entire community joined them in the celebration on July 30th, the day the printed Urat New Testament was presented to the people. Of the Urat translation team, the Psalmist’s words ring true, “Those who sow in tears, will reap with songs of joy.” Psalm 126:5.